If you own a Kindle, chances are you’ve downloaded some of the free books. Chances are this is one of them. It’s always hard to judge critically a translation: if you like it, is that all credit to the author; if you dislike it, do you blame the translator? Parts of it I loved. For example, the dry wit, or the wonderful exclamatory prose — such as the priest delivering extreme unction ‘First upon the eyes, that had so coveted all worldly pomp; then upon the nostrils, that had been greedy of the warm breeze and amorous odours; then upon the mouth, that had uttered lies, that had curled with pride’. Parts of it dragged, though. 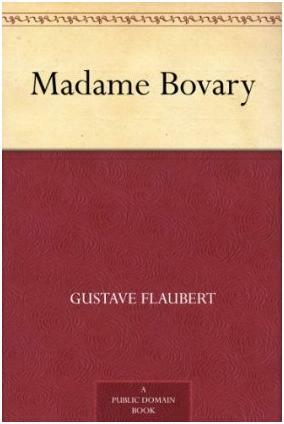 And I understand that’s the point: that this is Flaubert’s masterpiece of realism, with society laid bare in its mundanity as well as its mendacity. The characters are of course unappealing. 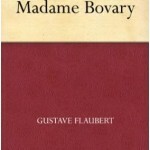 And again I understand that’s the point: that Flaubert is denouncing Emma and Charles Bovary et al for their pride-filled, deluded, bourgeois pretensions. But it’s hard to whole-heartedly enjoy a book so intent on detailing the downfall of hopelessly irredeemable characters.